IFA President John Bryan said the decision of the Russian authorities to ban Brazilian beef from 27 plants raises further serious questions about imports from South America, and he called for the immediate suspension of trade talks scheduled for next week between the EU and the Mercosur group. Following a two-week inspection of Brazilian meat-processing plants this month, the Russian authorities have placed further restrictions on 13 plants. This follows a decision to ban 14 meat plants in 2010. The inspection ‘demonstrated a number of systemic deficiencies in the work of the National Veterinary Services in Brazil’. It also found that ‘veterinary certificates for products exported to Russia groundlessly confirmed their compliance with the current Russian requirements’. The report also said the ‘safety of all products produced cannot be ensured’ and ‘the situation gives reasons to doubt the reliability of the results of veterinary and sanitary inspections at the plants’. 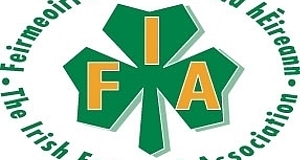 The IFA leader said these conclusions by the Russian Veterinary Services are extremely serious and must be taken on board by the EU Commission, the Council of Ministers and the European Parliament. John Bryan said he would be raising the issues around the failure of Brazilian beef imports to meet the standards required by European consumers at a meeting in the European Parliament next Monday.